ALBANY - Now the real fight begins. Again. After the New York State Senate voted 47-14 in favor of legalizing mixed martial arts for the sixth consecutive year on Tuesday, the bill moves to the State Assembly. And this is where the sport lost by technical knockout in past years. Each year, the bill has stalled in one Assembly committee or another without making it to the floor for a full vote by the members. "We've historically passed it with overwhelming support from all regions across the state, from both sides of the aisle," said Sen. Joseph A. Griffo (R-Rome), the bill's primary sponsor. "The Assembly has been difficult, and what we're asking is at least they would allow for a conversation and the opportunity to have a vote on the bill." In order to get that far, the bill must first pass through the Committee on Tourism, Parks, Arts and Sports Development, then Codes, then Ways & Means and then Rules. The bill reached Ways & Means once -- in 2011. But UFC officials and political supporters are hopeful this year -- "cautiously optimistic" is the popular phrase -- finally could be their year to stop debating and start voting. There's reason for that. Carl Heastie (D-Bronx), who was a co-sponsor on the bill for several years, became Assembly Speaker last month. Heastie removed himself as a sponsor from all bills once ascending to the new position. Heastie replaced Sheldon Silver (D-Manhattan), who resigned on Feb. 2 as Speaker amid federal corruption charges that allege he received $4 million in kickbacks for steering legislation and grants. Silver pleaded not guilty on Feb. 24 and said he will "be vindicated" of the five counts of conspiracy, fraud and extortion. UFC women's bantamweight champion Ronda Rousey spent Monday afternoon and Tuesday morning (her down time in between being a guest on "The View" on Monday morning and "The Tonight Show with Jimmy Fallon" on Tuesday evening) in the Capitol lobbying for the bill. She had a private meeting with Gov. Andrew M. Cuomo, who said last year and again this year that he's interested in the economic impact the sport could have on New York. 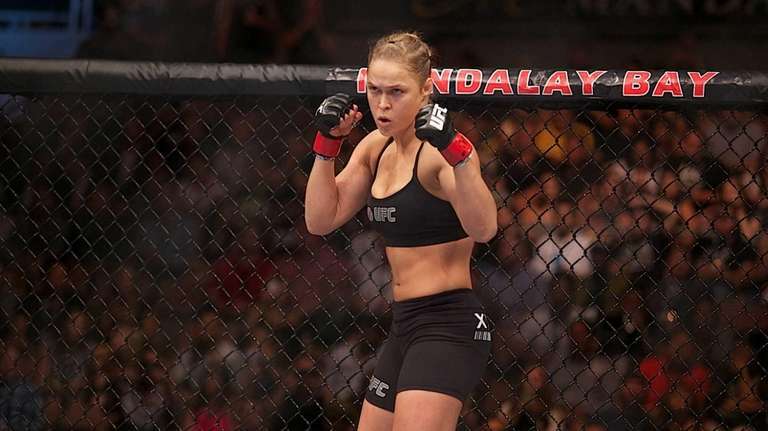 "I really feel we're in the middle of a cultural revolution and MMA is at the forefront of it, especially in women's sports," said Rousey, a former Olympic medalist who lived and trained in judo in upstate Altamont in 2005. "I really hope to be a testament that MMA does nothing but empower women." Heastie has said he still will be mindful of the Democratic conference when it comes to legalizing MMA. The Democrats control the Assembly with 106 of the 150 seats. The bill needs a simple majority of 76 votes in favor to pass. It already has 64 sponsors attached to it. On Tuesday, Assemb. Chad Lupinacci (R-South Huntington) issued a statement of support of the bill. There's a group of Assembly members that seek to keep New York as the lone state with a ban on professional mixed martial arts. "I'm still voting against it," said Assemb. Deborah Glick (D-Manhattan). "And I'm going to take as much time as I can on the floor. And I will organize as many people as I can to speak against it. Because it's a bad idea. New York is frequently a leader in the country recognizing stupidity." Glick said she doesn't view MMA as an actual sport. "Most sports have a goal that has nothing to do with inflicting the greatest amount of harm on the competitor as the primary goal of the activity," she said. "Now, people get hurt in sports. Car racing, the goal is to get to the end first. Baseball, football, they have different goals. It's true that some people in the course of achieving that goal may get injured. 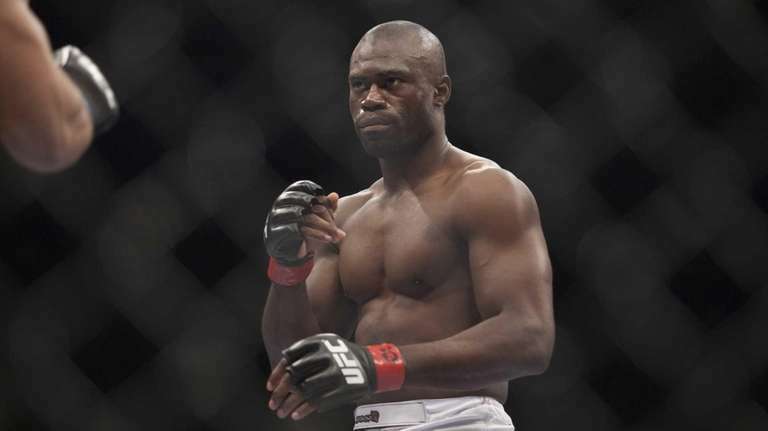 But mixed martial arts is all about the end result, is to have inflicted more physical damage on someone." When asked how that differs from boxing, which is legal in New York and regulated by the state athletic commission, Glick said it doesn't. She said that if boxing wasn't already legal, she;d have the same stance on that sport. And if someone put forth legislation to banish boxing, she'd vote in favor of it. The bill to legalize MMA includes giving NYSAC the power to regulate the sport. Should the Assembly pass the legislation this year, the commission would have 90 days to establish regulations for the sport. The regulations could include stricter health requirements and concussion protocols than in other states. There also is a unified rules of mixed martial arts, drafted in 2001, that has served as a blueprint for many other states in regulating MMA. "This is the only place in North America, one of the few places in the world, where it's not authorized," said Assembly Majority Leader Joseph D. Morelle (D-Rochester). "It's a little bit like putting your head in the sand and suggesting that somehow you can forestall the development of the sport. The sport is developing. The question is, is it going to be done safely in New York and are we going to have an opportunity to regulate it." There is no law prohibiting amateur events from happening in the state. There is no regulation or sanctioning by the state's athletic commission. That means there are no specific requirements to operate an event, such as drug testing, pre-fight medical testing and cage-side medical personnel. Some events are sanctioned by regulating bodies such as the World Kickboxing Association. Some events are not sanctioned at all. There are events held across the state, including this Saturday in Queens as New York Fight Exchange hosts its sixth event on Saturday. "I think the biggest problem is that New York State is the most dangerous place in the United States to do MMA," Rousey said. "MMA is here right now. It's just not regulated. It's only allowed at the amateur level." Morelle acknowledged the issue of amateur MMA already taking place in New York. "The failure for us to recognize it is important because failure to recognize means you can't regulate," Morelle said. "So if we're ever going to make sure that all the appropriate protections are in place for participants, we have to regulate it. And the way to do that is through this legislation."